Since 2010 BroadSword Racing has been competing at endurance off-road racing events such as the Ultra-4 King of the Hammers, W.E. Rock Dirt-Riot Series, and even the SCORE Baja 1000. Based out of Northern San Diego, CA, the team is primarily composed of active duty Marines to include team owner and driver Adam Arsenault. 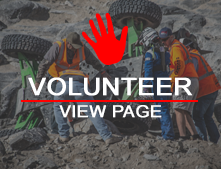 Off-road racing gives Adam and his team a recreational outlet to utilize skills honed over multiple combat deployments such as mission planning, communications, and navigation, in an austere desert environment that feels all too familiar.